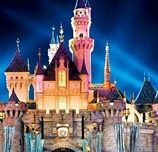 Ticket prices for Disneyland and the Disney California Adventure Park in Anaheim, California, are going up. Disney announced that prices will increase from $80 to $87 for a one day pass to either park for guests 10 and over. Premium annual passes, which include parking, will go up from $499 to $649. The new prices went into affect today. Glover also notes that the parks will be opening at 8am each day during the summer, and the entertainment schedule is being ramped up with more shows. The price increase will not affect annual passholders that purchased their pass using the payment plan option prior to today. Also, tickets purchased prior to today, but not yet activated, will remain at the previous cost – guests will not have to pay the difference, according to Glover. She also said the 6-Day Park Hopper pass will no longer be available. The price increase only affects the parks in California. Disney World in Orlando, Florida, is not affected by this increase.